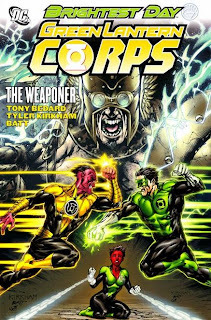 Tony Bedard's Green Lantern Corps: The Weaponer is an improvement over his previous volume, in large part because of this story's more interesting villain. Weaponer is shockingly similar to Revolt of the Alpha-Lanterns in terms of overall plot, however, and suffers from some of that book's same difficulties regarding characterization and decompressed storytelling. "A villain kidnaps a member of the Corps, and the other Green Lanterns must foment a revolution on an alien planet to free their comrade." This is the plot of both Revolt of the Alpha-Lanterns and Weaponer. Kidnapper? The Cyborg-Superman on one side, the Weaponer on the other. Kidnapped? John Stewart and Soranik Natu (one for the purpose of luring Ganthet, the other for luring Sinestro). In the former, the Green Lanterns inspire the robots of Grenda to rise up against the Cyborg; in the latter, the Lanterns lead the Qwardian Thunderers against Sinestro. Both stories are five issues long, with a similar structure -- the kidnap, the rescue, a third party intervenes, and then the denouement. Weaponer was of great interest to me in large part because of the Qwardian Weaponer himself, who forged Sinestro's original yellow ring and has now kidnapped Sinestro's daughter Natu in revenge for Sinestro's perceived neglect of the Qwardians. Similar to the history of the mystery villain at the center of the upcoming War of the Green Lanterns (I won't spoil it; see Green Lantern: Brightest Day), continuity in regards to the Qwardians is a tad shaky in view of what still did/didn't happen in Crisis on Infinite Earths. How Qwardian history coincides with the Sinestro Corps War is a story that's been waiting to be told for a while now, and I was pleased to see Bedard tell it. No great surprises, but some welcome mentions of the Anti-Monitor and so on. Unfortunately, a lot of that history comes in the form of the Weaponer simply telling it all to Natu in this book's second chapter. That second chapter is a notable indicator of the rest of the book -- it involves eight pages of Lantern Kyle Rayner and Sinestro fist-fighting in Greenwich Village, two of Kyle rounding up other Lanterns to rescue Natu, and sixteen of Natu speaking with the Weaponer. Ordinarily I'd praise a single issue that bucks the need for a hero/villain fight to make that single piece complete, except that fairly little occurs in the issue, and that's true going forward, too. The Lanterns fight the Qwardians; the Sinestro Corps shows up and also fights the Qwardians; then finally Sinestro arrives and fights the Weaponer not once, but two different times. In all of this, there's no great revelations about the Qwardians, no twist as to the nature of the Weaponer and Sinestro's conflict. The story is a series of battles, cliffhangers (usually the arrival of a new combatant), and more battles, all leading to the end where, most surprisingly, there's no real fallout from the story. It's unclear to me whether the the other Lanterns realize that Sinestro is Natu's father, but no one remarks on it -- even as it's a big deal and one would think they'd wonder why the Weaponer kidnapping Natu would summon Sinestro. The Weaponer leaves with Sinestro and the Lanterns are immediately drawn into the War of the Green Lanterns conflict, making the Weaponer's threat seem like mainly just something to bide the time between Green Lantern crossover stories. Indeed, while I have enjoyed this period between Blackest Night and War of the Green Lanterns in which Green Lantern, Corps, and Green Lantern: Emerald Warriors have all been interconnected, so little happened in either of the tertiary series that DC could have just published Green Lantern only, and simply had the events of Corps and Warriors as subplots. The Weaponer has an honorable dignity that I enjoy in a villain, but the Warriors antagonist Zardor was entirely forgettable, and I don't sense the conflict with either will actually tie in to War. Warriors was a considerably better book that Weaponer, but entirely this was another case of DC Comics publishing three different series when they could have told the same story with just one. I do hope, however, that Bedard is able to show more of Sinestro and Kyle's conflict in the Corps chapters of War of the Green Lanterns. With all the difficulty DC is having lately in regards to their representation of women, Kyle and Sinestro's conflict is something of a guilty pleasure -- on one hand, they're disappointingly fighting over who gets to speak for Natu, when it'd be better if Natu weren't defined by the men around her; on the other hand, it's chillingly wonderful every time Sinestro calls Kyle "alley rat." For as much as Kyle has accomplished as a Green Lantern, Sinestro still sees him as the shiftless California artist we met him as way back when, and this makes their conflicts crackle -- I like this even more, perhaps, than watching Hal Jordan mourn his lost friend when Sinestro is around. A word to the Brightest Day crossover aspect of Green Lantern Corps: The Weaponer -- if that's why you might pick up this book, I'd pass. Firestorm shows up in the last chapter, and it's fun to see him flit among the Green Lanterns and shoot some bolts at the Sinestro Corps. Ultimately, however, Firestorm's just passing through and leaves the Lanterns in the end, changing the story not a whit. It's another example of the same difficulty this book has overall; it's five chapters long and there's art on every page, but when I got to the end I didn't find I had much more than when I started. Later this week, a look at a trade that never was, with Collected Editions' Cancelled Trade Cavalcade. Don't miss it! Glad I didn't got this one. Thanks!!! 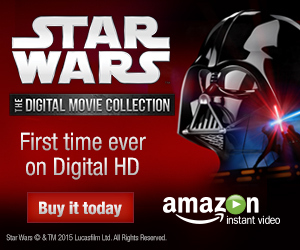 You got it -- all part of the Collected Editions service. What have you been reading lately? I don't remember where I read it, but somewhere I saw Bedard insinuating that he was basically forced to do the alpha-lantern plot, so maybe this is an example of editors forcing writers down a certain path that limits creativity? He is sort of the low-man on the GL totem pole, I assume, since Johns is Johns and Tomasi was given Batman and Robin. Maybe his stuff is pushed out quicker as a way to capitalize on GL's success by adding another book (a la Batman: The Dark Knight)? I like the idea of Kyle branching out on his own, but I don't like Bedard's take on Kyle -- too much "dude," to the point where when Sinestro mocks Kyle here, I kind of agreed! If what you suggest is correct, maybe Bedard can forge more of his own path with the DC Relaunch book New Guardians, but chances are I'm only giving that so many issues before, if the trend is the same as Bedard's Corps work, I just let it go. Can't be picking up books I don't think I'll enjoy, even if they're part of a title "family" that I read. I hear you; I'm not following Red Lanterns despite really wanting to know what's up with the entire GL universe because, sadly, I just don't enjoy it. I do have high hopes for New Guardians, though, and Bedard sounds really excited for it in interviews. It has every opportunity to be its own beast, rather than structured around the perma-event that GL became toward the end of the "old era" that his Corps stories seem to have been trapped in. We'll see! Sorry to hear you're not enjoying Red Lanterns -- I have high hopes for when I finally read it. I liked Peter Milligan's work on Infinity Inc. and I'm excited for a "Vertigo writer" to take on the DC Universe, so I'm eager to read Red Lanterns and also Justice League Dark.